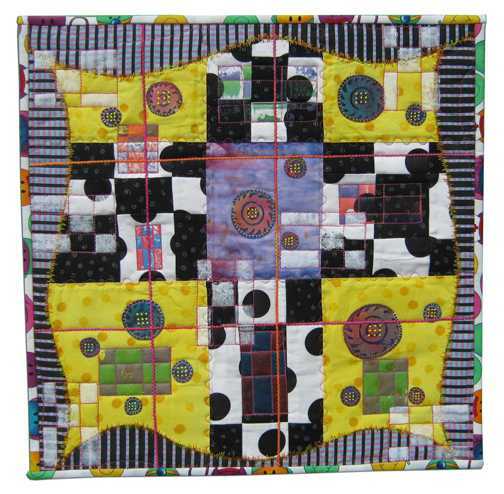 The Alliance for American Quilters is an organization whose mission is to document, preserve, and share the American quilt heritage by collecting the stories that historic and contemporary quilts and their makers tell about our nation's diverse peoples and their communities. One of their fund raising events is an auction of small quilted pieces. This year's challenge "New from Old" seemed interesting to me, so I donated this little piece called "7 of 9". It contains 9 patch patterns made with 7 different techniques.